Brown sent the R&B songbird a diamond bracelet and necklace and an iPod Touch for her 21st birthday last Friday. 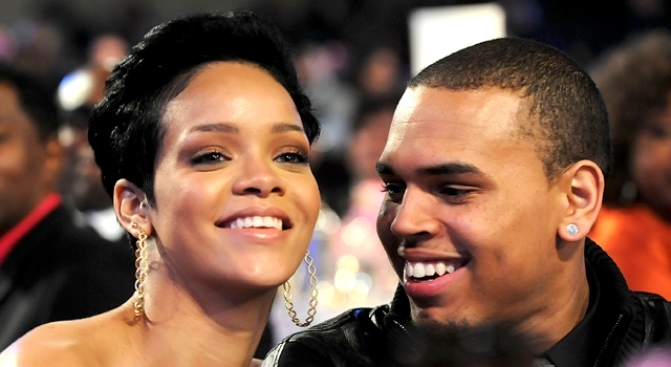 Chris Brown is desperately trying to win back to affections of his girlfriend Rihanna by showering lavish gifts on the pop princess he allegedly assaulted, the New York Daily Newsreported. Brown sent the R&B songbird a diamond bracelet and necklace, as well as an iPod Touch, for her 21st birthday last Friday, but friends say it will take more than a gift-wrapped mea culpa to heal Rihanna's wounds, the paper reported. Even Brown's mother, Joyce, sent Rihanna a bouquet of flowers. "He's absolutely trying to get back into her good graces," an insider told the Daily News. "He knows he's very much in the doghouse right now and is doing everything he can to show her how sorry he is." Rihanna, who was bloodied and bruised in an alleged pre-Grammy night fight with Brown, did not invite her beau to the casino-themed birthday bash she hosted in a rented Hollywood Hills home. But the songstress pined for Brown nonetheless, a source told the paper. "Rihanna wanted Chris with her on her big day, but obviously realizes why they can't be together right now," an insider told the News. "But it's becoming more and more clear that she can't be without him." Rihanna is still healing from facial bruises that stem from the alleged pre-Grammy night fight between the singer and Brown on Feb. 7.